For more details concerning the functionalities, see this documentation. The CPE Series Datasheet is here. Here there is the Installation Guide of the TP-Link CPE210. I suggest to reading Orientation (pg.5) and Antenna Alignment (pg.14) chapters, for a best installation performances. For extend the WiFi coverage of your Access Point by TP-Link CPE210 is very easy, follow the explanations below. 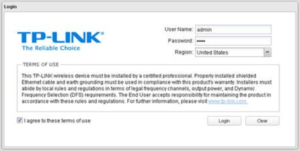 We explain how to use the TP-Link CPE210 in access point mode. Access Point (AP) mode is used to transfer wired connection into wireless connection. In AP mode, the device acts as a central hub and provides wireless access point for wireless clients ( see below). First connections: must be as has shown below. 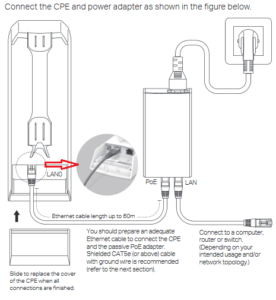 The LAN cable must be connected to your Access Point (your Internet Modem) or to your Wired Local Area Network. At the first connection you must see the page below where the credentials are admin (user name) and again admin (password). 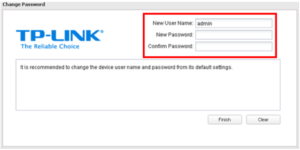 The next page that appear impose you to change the password for access to your TP-Link CPE210, see below. In the next page that appears don’t change nothing, click only next. Now configure the new window that appears with the parameters show below in the red box. Distance: depend of location of your TP-Link CPE210 and the area, that you need cover, choose from 1 to up 24 Km. Now press next in the two new pages that appear and waiting the restart of the TP-Link CPE210. That is all, good surfing on internet using your TP-Link CPE210.